New Website Redesign For stlouisgunsales.com! - What's New! HomeBlogGun Shop NewsNew Website Redesign For stlouisgunsales.com! Visit www.stlouisgunsales.com to check out their new features, including Ask an Expert, Request a Firearm, and Staff Bios. Also, keep an eye on What's New for information about Sharpshooter Indoor Gun Range's opening, $35 Gun Transfers, and custom tier 1 AR-15's. 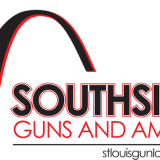 Visit the gun store, attached to Southside Pawn, at 8101 Gravois Road, St.Louis, Missouri, 63123or call (314) 351-GUNS for information.